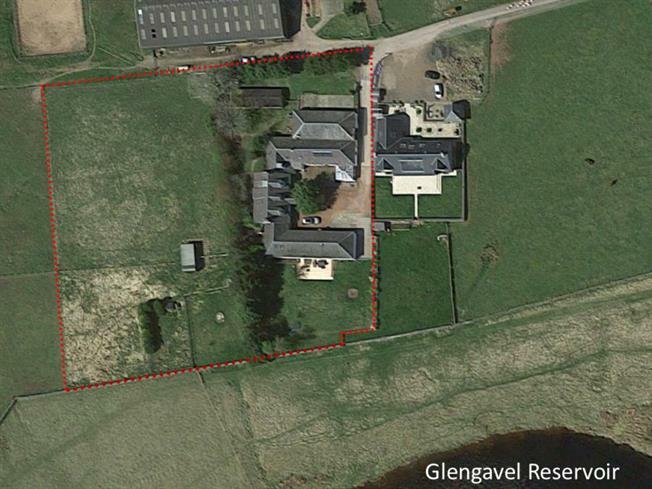 6 Bedroom Detached House For Sale in Strathaven for Offers Over £600,000. A quite extraordinary traditional property situated in this idyllic part of the world with a quite stunning outlook over a reservoir. The property has been improved and maintained by the owners to an exacting standard and is an absolute must for viewing in order to be appreciated. The accommodation comprises entrance vestibule, grand reception hallway with access off to the family room with wood burning stove, leading through to a stunning modern fitted kitchen with island and a range of high quality integrated appliances and corian worktop with a simply breath-taking view out over the reservoir. Accessed via the kitchen is an enormous lounge that also benefits from breath-taking views across the reservoir and access to a patio area and garden. Elsewhere off the main reception hallway there is access off to what are considered bedrooms four and five, a study room, laundry room, beautiful master bedroom with patio doors out to gardens and an en-suite off. There is also a separate shower room and pantry as well as a sixth double bedroom and a quite spectacular soft play area! One the first floor the property benefits from two more double bedrooms as well as a beautiful modern bathroom with separate bath and shower and a plethora of storage space. The property also benefits from full double glazing, a biomass central heating system with automated hopper, solar hot water panels, satellite broadband, driveway, courtyard, gardens to front, side and rear, a very large outbuilding (ideal for workshop space), paddocks and stables. Property is also receiving annual RHI payments until March 2023. This totally unique property is sure to appeal to those interested in equestrian and/or other country pursuits, since very nearby there are long trails that are suitable for walking, horse-riding and cycling. There is also fly-fishing available on the reservoir.